Today, The Export-Import Bank of the United States (Ex-Im Bank), announced that leading small business expert, Jim Blasingame, will moderate a key industry panel on exporting at its 2010 Annual Conference. The Conference, held at the Omni Shoreham Hotel, March 11-12, 2010, is being conducted to promote jobs growth, plus increase sales and profits through exporting. Jim Blasingame is recognized as one of the world’s leading experts on small business and entrepreneurship. Blasingame is president of Small Business Network, Inc., and perhaps is best known as the creator and host of the nationally syndicated weekday small business radio program, The Small Business Advocate® Show. Ex-Im Bank (http://www.exim.gov/) is the official export credit agency of the United States. Ex-Im Bank's mission is to assist in financing the goods and services U.S. companies — large and small — export to international markets, turning those opportunities into real sales, create and maintain U.S. jobs and contribute to a stronger national economy. 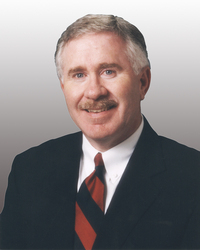 In addition to his syndicated small business radio show, which is also simulcast worldwide on the Internet, Blasingame is a syndicated newspaper columnist, blogger, author of two books and founder of http://www.SmallBusinessAdvocate.com. Blasingame is a high-energy keynote speaker and is often sought out for his exceptional skills as an event emcee and panel moderator. Small Business Network, Inc. (SBN) produces and distributes multi-media small business content worldwide. SBN sponsors include: FedEx, Administaff and Palo Alto Software.